Bonus points if you can name where it is. Oh pick me! I think it's on the Timpooneke trail to the top of Timp... right after you get to the plateau/meadow and just before you can see the saddle. 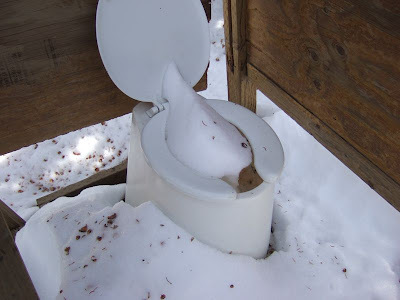 I've hiked that trail several times, and when I saw the "Toilet" sign, I just figured they were suggesting a good place to go. 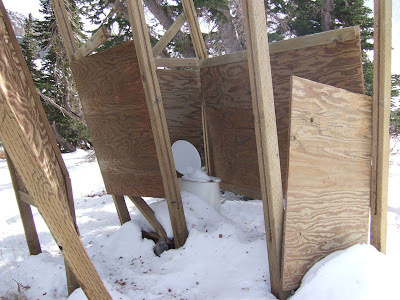 A few months ago when I did the hike, I investigated the situation and discovered the fancy, private restroom and had a good laugh. :) So, do I win a prize? We have a winner! Prizes will be distributed shortly.